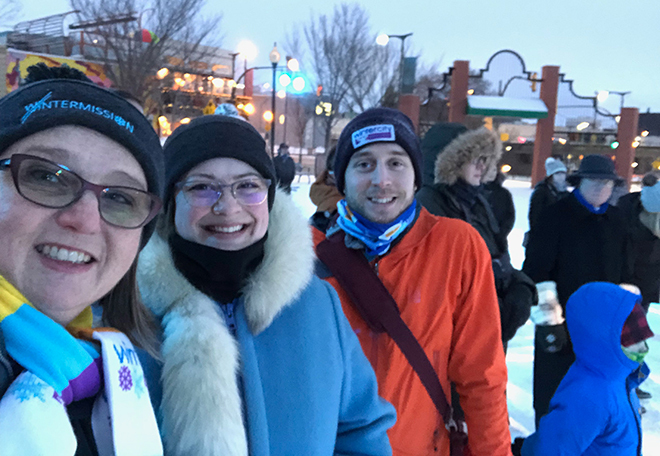 WinterCity manager Susan Holdsworth attended this year’s Winter Cities Shake-Up Conference in Saskatoon, and shares her experience with us. 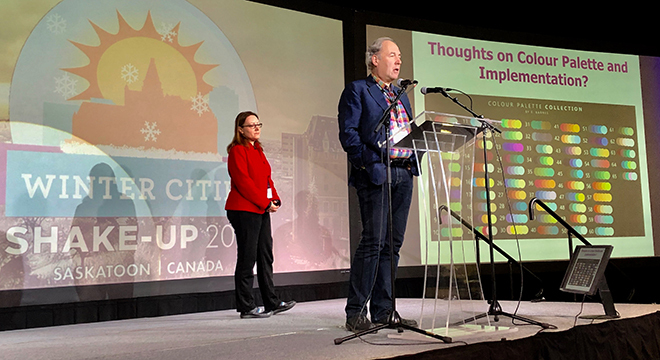 The Winter Cities Shake-Up Conference took place from January 23-26, 2019, in Saskatoon. 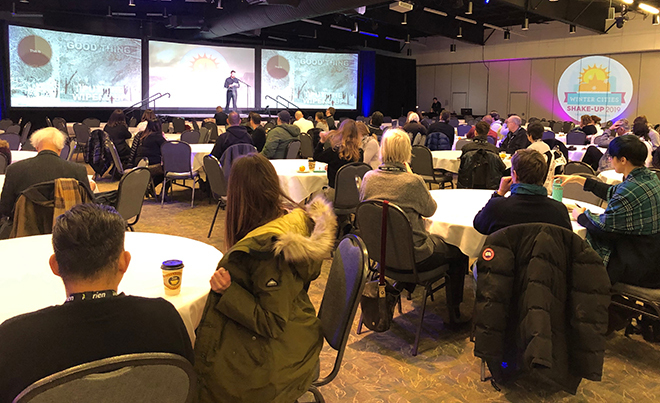 Hundreds of people gathered from almost 30 cities and towns to learn and share, to be inspired and filled with ideas that they could take home. First Things First: Thank You Kim and Shad Ali + OnPurpose Events! 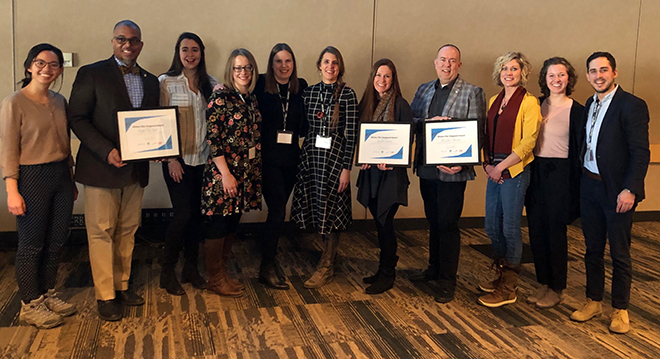 The conference was officially hosted by OnPurpose Events, with support from the City of Saskatoon and a number of other sponsors, including Tourism Saskatoon. 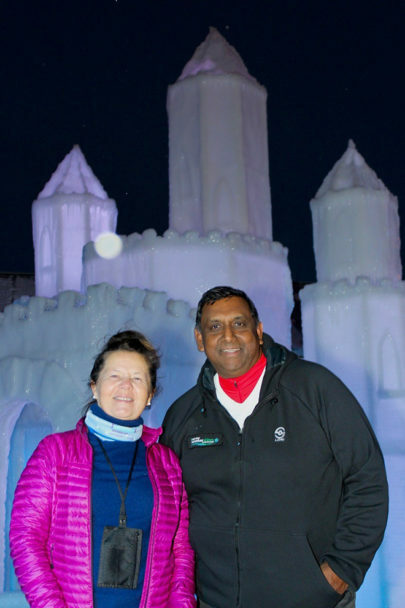 Kim and Nowshad Ali were the co-chairs of the conference, and we can’t thank them enough for their winter city passion, for their belief in the power for this work to improve the quality of life for everyone in their community. It truly was a labour of love for them and it showed! There were many new communities joining us at the conference. 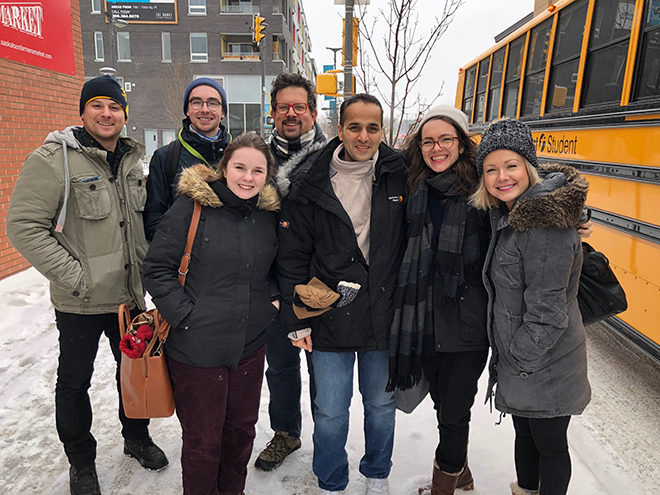 These are the representatives from three new US communities that will be developing their own winter city strategies with the support of 8 80 Cities Wintermission program that is funded by the Robert Wood Johnson Foundation. Each community will be focusing on ways to combat social isolation. 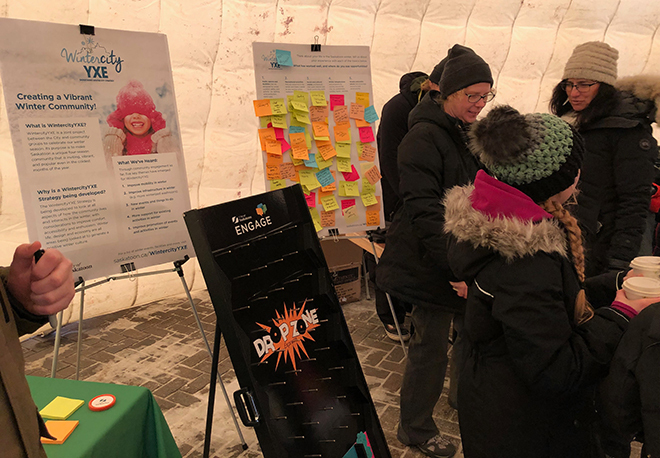 Councillor Henderson, Isla Tanaka (who is our WinterCity Planner) and I shared our story with them. I look forward to hearing how it goes for them in Buffalo, NY, Eau Claire, WI, and Leadville, CO. 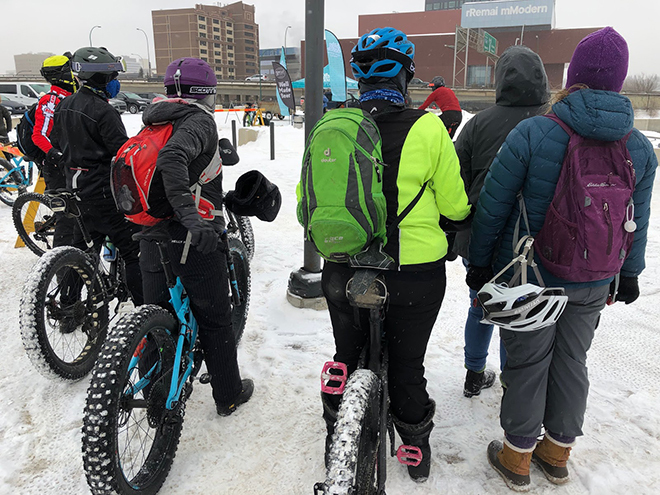 Many delegates were learning to see their cities in a different way, and it was clear that they wanted to share this vision and inspire others with the potential that their own winters offer. Did I mention yet that Councillor Henderson, Isla and I presented a total of 6 times at the conference on a variety of different topics? There was a lot of interest in what we’ve done here in Edmonton and now we are being held up as a bit of a model for others. This was great validation for our approach – which is so community-based and holistic. If our dedication to the work was at all waning, it was the shot in the arm we would have needed to keep going! 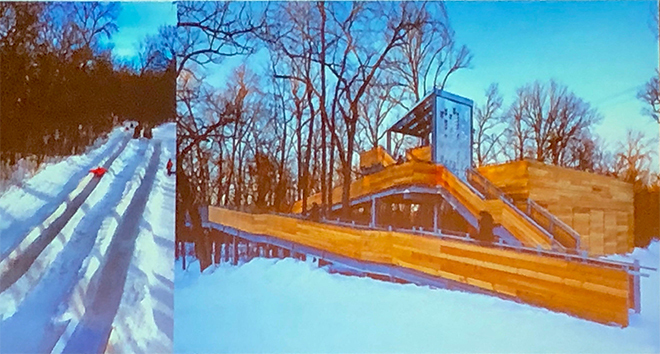 There were several presentations that took deeper dives into specific topics – gave very specific examples of how to better design for our winter contexts to support public life. 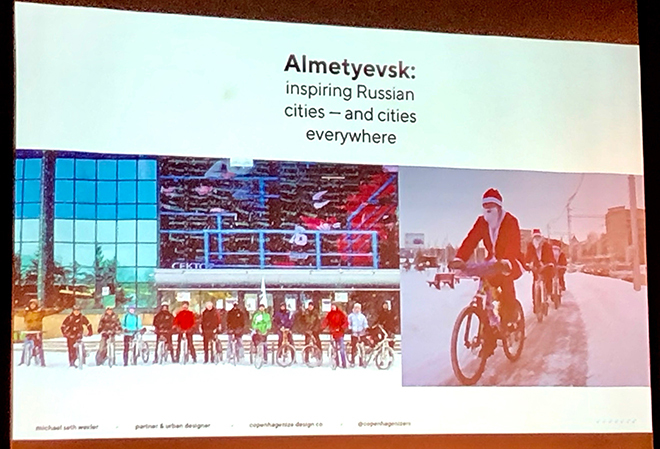 I thoroughly enjoyed learning about Copenhagenize’s work in Almetyevsk and the transformative changes they are seeing there, and about the St Vital Park Toboggan Shelter and Slides by PublicCity Architecture. These are some of the folks from the nature walk I did through the Richard St. Barbe Baker Afforestation Area that has trails groomed for fat bikes and an off-leash dog area. I also had excellent conversations with many other city-builders including City Councillors from the City of Regina, the executive director from the Sparks Street Business Improvement Association in Ottawa, a program manager from Park People in Toronto, year-round bicycle advocates, a dark sky advocate in Saskatoon, and lighting designers from Berlin and even India. It was really great to learn about what others are doing – what’s working and what their challenges are. 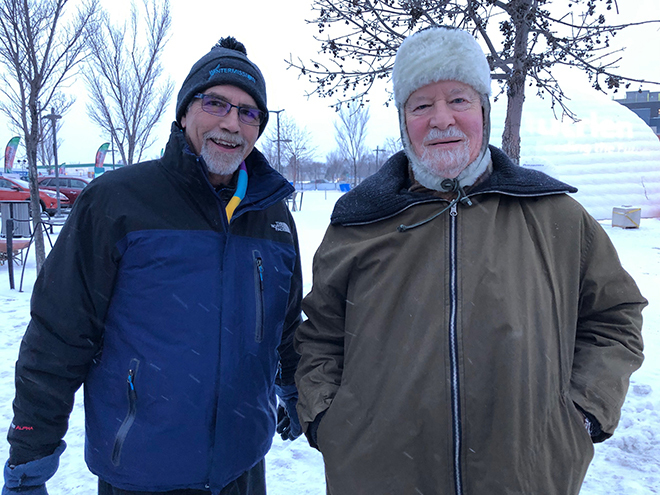 It was also great to connect with these two men who have been advocating for winter cities for over 30 years. We were honoured to have Dr. Norman Pressman at the conference. He wrote ground-breaking books on winter design and our Winter Design Guidelines benefited hugely from his wisdom. Patrick Coleman runs the Winter Cities Institute with equal measures of passion and dedication. The conference also showcased many cool things going on in Saskatoon. 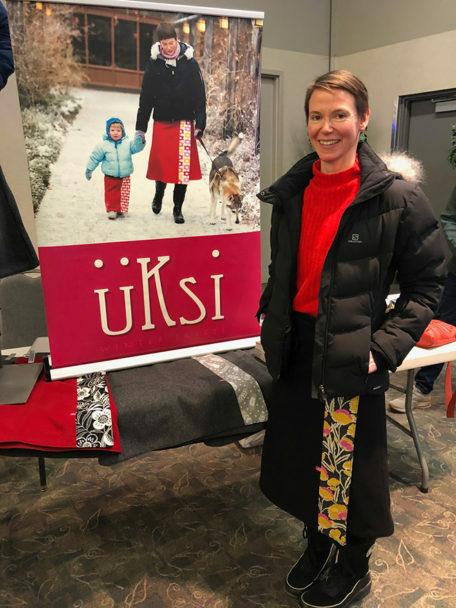 I met Elizabeth, a winter business innovator who makes winter skirts called “Üksi’s”, and I got to take in a fat bike race, check out their ice castle with fabulous lighting by Sabine De Schutter, pop in on City of Saskatoon staff running their own public engagement sessions on their own #wintercityyxe strategy, and stay for the launch of WinterShines. Who knows who will host next… Stay tuned! 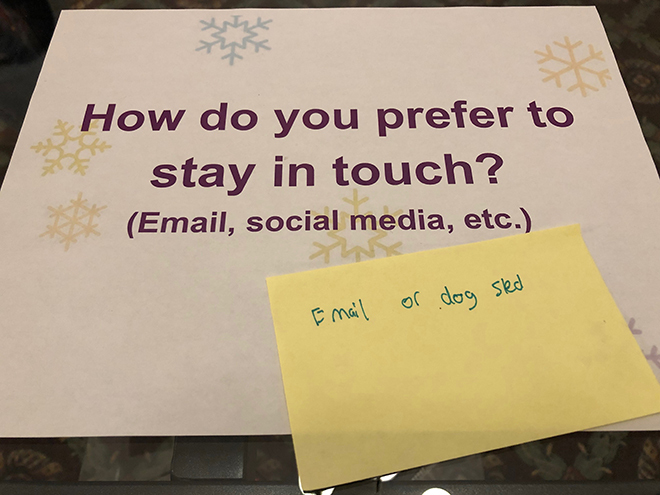 But what we do know for sure is that there is interest in staying connected better. 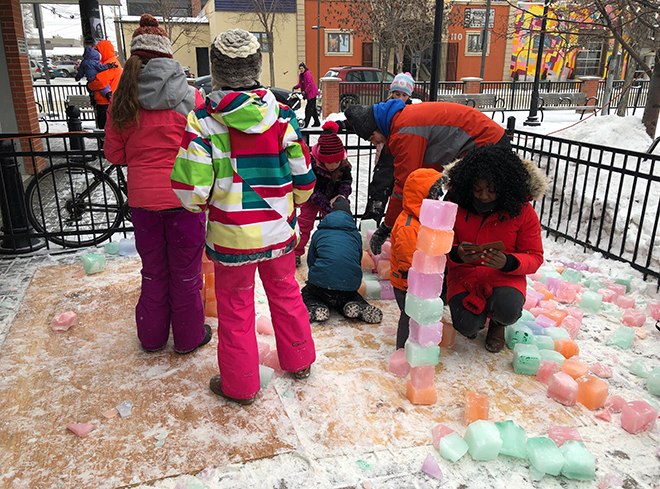 Even though our winter contexts are different, we do share similar challenges, and we know that we can help each other with many of them. Winter on!